September 8, 2014 Nefer Khepri, Ph. D.
Tarot of the Night, box cover. 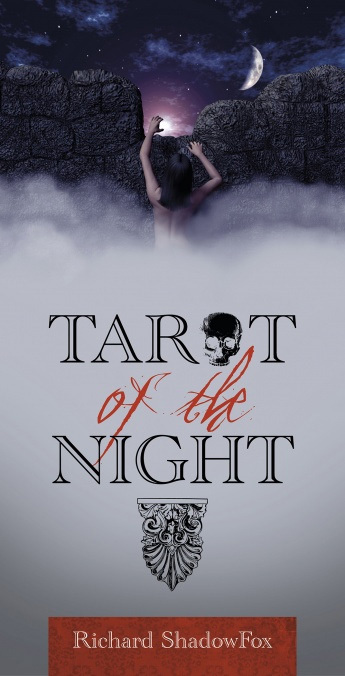 If you enjoy horror movies and things that go bump in the night, then Tarot of the Night is the deck for you. The imagery is computer-designed and the edges of the elements in each composition are very crisp and clean. Characters are depicted in medieval garb that stylistically resemble characters in medieval role-playing video games. 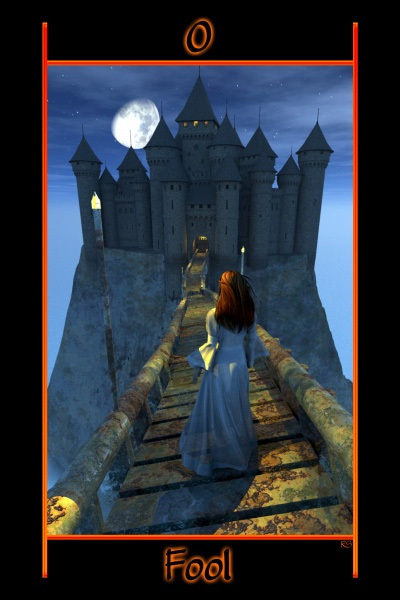 Image including a castle & the nighttime sky. Copyright Richard Shadowfox & Schiffer Books, 2014. The environment in which action takes place showcases castles (ruined walls, turrets, sconces), graveyards, and forests, which further enhance the medieval feel of the deck. 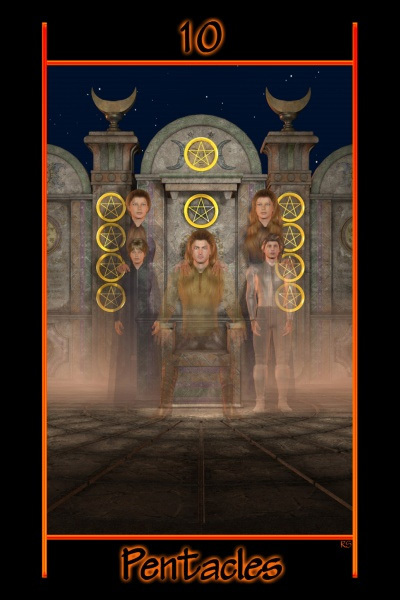 Every scene occurs during the night with the exceptions of The Sun and the 9 of Wands. This is a Tarot of the Night, after all. As a result, the moon is the dominant symbol within the deck occurring on many of the cards in one form or another. Copyright Richard Shadowfox & Schiffer Books, 2014. The overall color scheme consists of black borders, backgrounds of dark blues and black offset by splashes of orange and red accompanied by other colors (example: flesh tones & greens). Card titles are placed at the base of the image within the black border with the number at the top. The cards measure 3 ¼ X 5”. Fans of the old classic horror movies (envision the old 1960s/early 1970s Hammer Studio Films and you get a really good idea as to the overall feel of this deck) would enjoy the Tarot of the Night with the depictions of cemeteries, ruined castles, and coffins that are populated by such characters as skeletons or skeletal body parts (16 cards), spirits (11 cards), and even a vampire depicted on The Sun card. The accompanying paperback guidebook is 256 pages long. Cards are depicted ¼” smaller than actual card-size in black and white. Both upright and reversed interpretations are provided. The guidebook concludes with three spreads: a 3-card spread, the Celtic Cross, and a 13-card spread specific to this deck entitled “The Vincit Omnia Veritas”, or “Truth Conquers All” spread. 10 of Pentacles with two spirits. Copyright Richard Shadowfox & Schiffer Books, 2014. 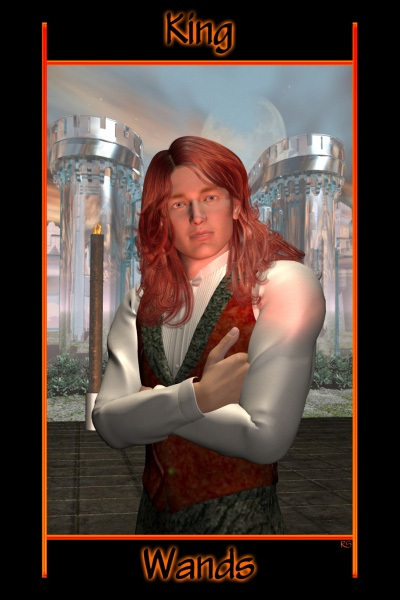 The Tarot of the Night has gothic appeal. It makes for a great Samhain/Halloween deck, especially for readers who plan to read at Halloween parties next month. Presented in the standard high-quality hinge-lidded box with magnetic closure typical of Tarot decks published by Schiffer Books, the box measures 6 X 11 X 1 ¾”. If you’re looking for a deck that travels well, especially if you’re planning to read at more than one Halloween party, the Tarot of Night is a good choice.